(Julie Roys) “Got me a 1971 Beetle,” announced Ed Stetzer on Facebook last April, adding that he and his daughter were planning to restore the classic Volkswagen car. However, what Stetzer didn’t mention was how he had obtained the car. 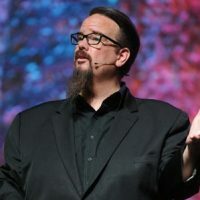 And now Stetzer, the executive director of the Billy Graham Center at Wheaton College and a contributing editor for Christianity Today, is at the center of controversy for accepting the Beetle, which Stetzer recently admitted was a gift from now-disgraced megachurch pastor, James MacDonald. What’s worse, MacDonald reportedly didn’t buy the car with his own money, but instead used funds from Harvest Bible Chapel, the Chicago-area church he founded more than 30 years ago. The story about the controversial gift was first reported on Friday morning by Dee Parsons at The Wartburg Watch. Parsons said she had been told about the gift by “some reliable folks.” But hours after she published her article, pastor and podcaster, Joe Thorn, tweeted a message he had received from Stetzer, confirming Parsons’ report. In the message, Stetzer said he had assumed that the car had been bought with MacDonald’s personal funds. However, Stetzer said last month, “after reading some of the news stories about (Harvest’s) finances,” he contacted the church. Stetzer said that’s when he learned that Walk in the Word, MacDonald’s broadcast ministry and a sub-ministry of the church, had purchased the car. So Stetzer said he wrote a check in March to reimburse Walk in the Word for the full amount. Christianity Today is not a publication we endorse.